Photos of First United Brethren Church and Rev. 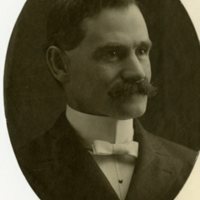 Maurice B. Spayd. Photograph of the First United Brethren. 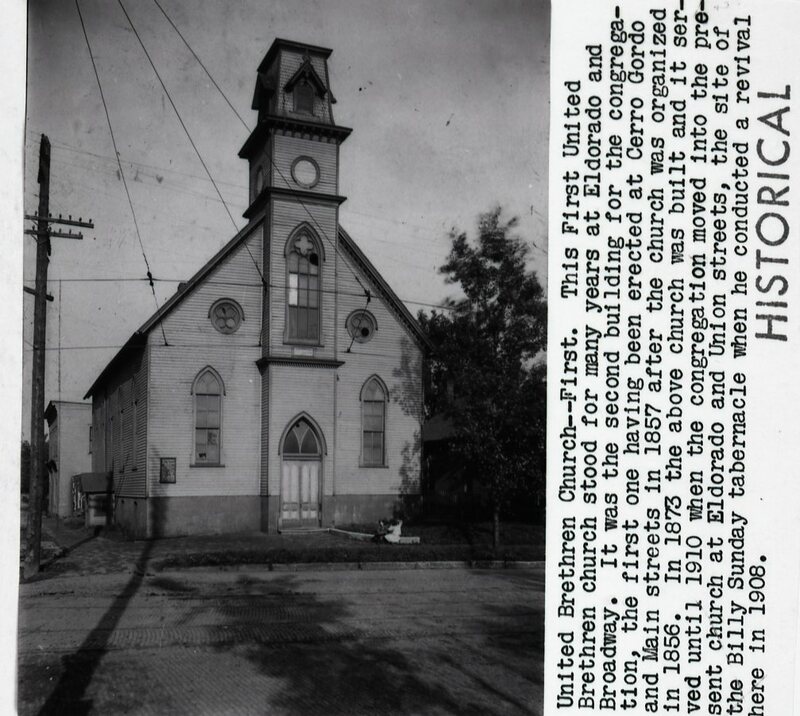 This First United Brethren Church stood for many years at Eldorado and Broadway. It was the second building for the congregation, the first one having been erected at Cerro Gordo and Main Streets in 1857 after the church was organized in 1856. In 1873 the above church was built and it served until 1910 when the congregation moved into the present church at Eldorado and Union Streets, the site of the Billy Sunday tabernacle when he conducted a revival here in 1908. Photograph of Rev. 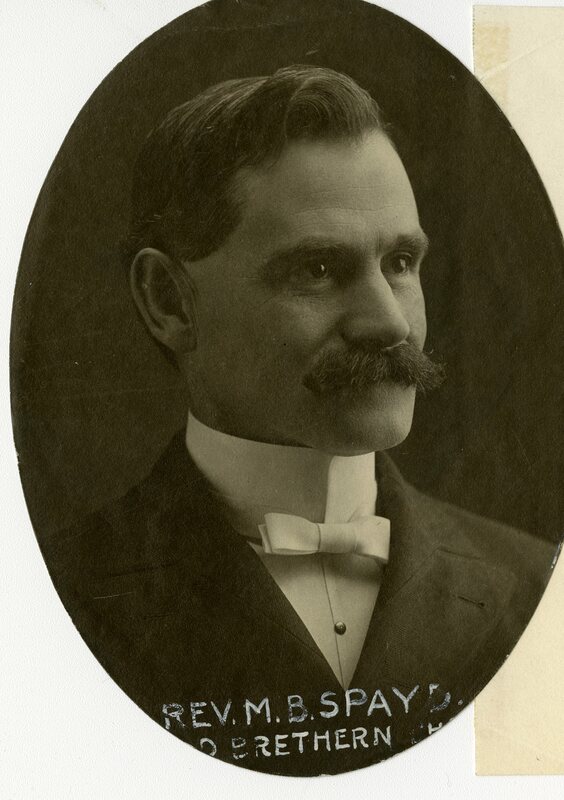 Maurice B. Spayd; (died 5/13/1941) pastor of the First United Brethren Church from 1896 to 1901. (Photo ran 9/21/1914). Churches, United Brethren Churches, Photo File: Churches, Decatur, IL. 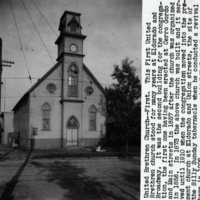 8 x 10" and 4 x 4"
Herald and Review, “Photos of First United Brethren Church and Rev. Maurice B. Spayd.,” Decatur Illinois Public Library Local History Photo Collection, accessed April 26, 2019, http://omeka.decaturlibrary.org/items/show/2907.